Jeremy Straub, CRPC, CFS® is the Founder and CEO of Coastal Wealth, a member of the MassMutual Financial Group. A financial industry thought leader who brings energy and passion to helping people preserve wealth, he quickly ascended to the top of the financial planning industry at other companies before establishing Coastal Wealth in 2016. Through Coastal Wealth, Straub created a firm with a family feel – where advisors are treated like clients, and clients have experts at their fingertips to address most aspects of their financial lives. This is evident in the firm’s mission is to help businesses and their employees prosper by making good decisions, and to avoid catastrophic ones. As CEO, Straub leads a team of more than 250 financial advisors and support staff with offices in Fort Lauderdale, Boca Raton, Coral Gables, Plantation, West Palm Beach, North Palm Beach, Tavernier Key, Fort Myers, Sarasota, Tampa, Port Richey and Stuart. Coastal Wealth focuses on financial planning, protection, property and casualty insurance and group benefits. Originally from Bethlehem, Pennsylvania, Straub’s entrepreneurial nature was influenced by his father, who worked his way up in the auto industry from selling cars to owning dealerships. Jeremy’s top personal goal is to have a positive impact on his family, employees and community. He loves that his role at Coastal Wealth allows him to balance the “mind of a capitalist and heart of a social worker,” by helping clients reach their financial goals while living his personal dream as an entrepreneur. In recognition of his dynamic leadership, Straub was named a South Florida Business Journal 40 Under 40 honoree in 2017. He holds the CRPC® designation (Chartered Retirement Planning Consultant), which helped him discover his passion for helping people plan the accumulation and distribution phases of retirement. 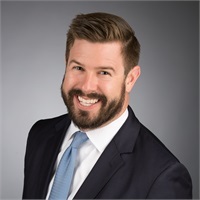 Along with other licenses and specializations, he is a Certified Funds Specialist® (CFS) and holds a Bachelor of Arts degree in Finance and Political Science from Moravian College in Bethlehem. He is an active volunteer with SCORE in Broward County, where he helps entrepreneurs start, develop, and grow their businesses. Straub lives in Fort Lauderdale with his daughter, Kayla and wife, Maureen. In his free time, he enjoys spending time with his daughter, traveling, fishing and spearfishing, boating and snowboarding.